FAT Tuesday! 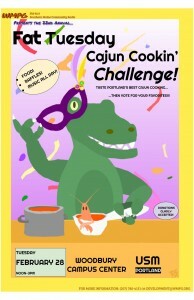 Yes we are beginning to plan for the Cajun Cookin’ Challenge! WMPG will again be hosting our renowned Fat Tuesday party. This will be the 22nd year that we celebrate Mardi Gras with our volunteers, listeners, USM and the greater Portland Community. It all happens on February 28, 2017 from noon to 3pm at the USM Woodbury Campus Center in Portland. WMPG will be broadcasting New Orleans music live from the event. There will be plenty of WMPG on-air personalities to spin tunes, and there may be some surprise musical guest showing up to perform live Acadian music in the amphitheatre. 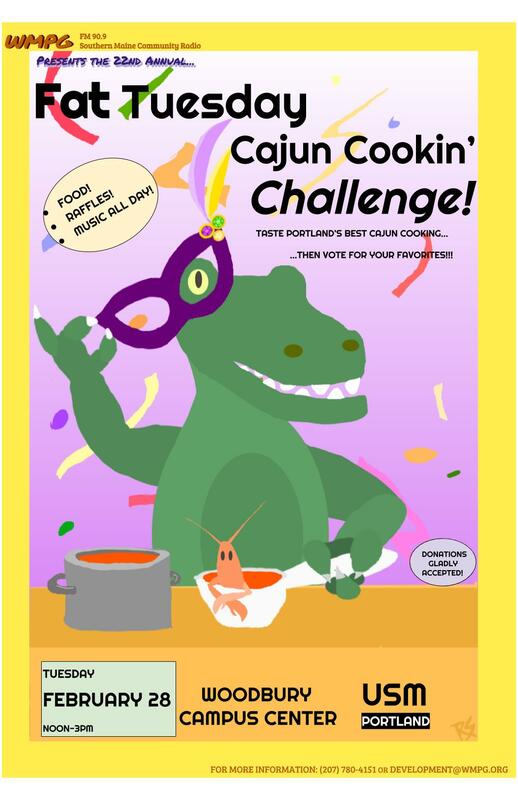 Last year’s winner was Gritty McDuff’s as they took the honors and bragging rights with a wonderful Catfish and Sausage Gumbo that impressed the voters. Last year some of the contestants included Bayside Bowl, Congress Bar and Grill, Bayside American Cafe, Aramark /USM Dining, Silly’s, Po’ Boys & Pickles, Local Sprouts Cooperative, and Whole Foods. If you wanna get a feel for the event and check out the party check out this nice feature the Bangor Daily News did on the event a couple year’s back!